This week’s Folio Friday Foto comes from Albert Palmer’s latest client album. Albums with strong opening and closing images always stand out, but the closing spread for this album is truly stunning. Night shots are always tricky to pull off, and it takes a lot of time and work to get that beautiful hero shot in all of its glory. I really love the way that this image is composed. Through keeping the focus on the couple, and the fairy-lit tree, the romantic and intimate element of the photograph increases since you aren’t distracted by the rest of the background detail. 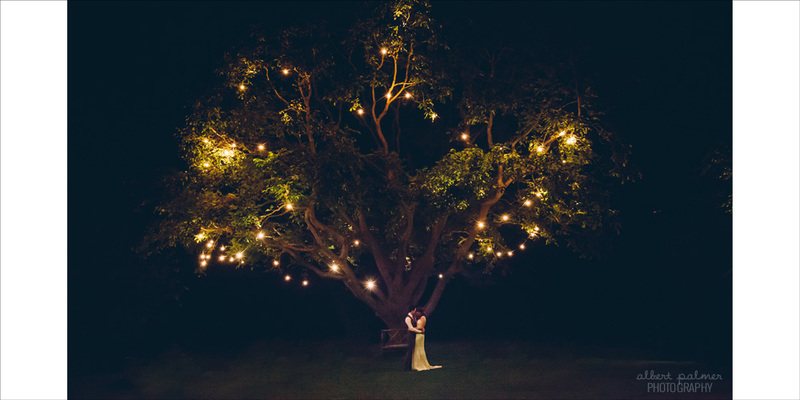 Instead the eye is drawn initially to the tree and then down towards the newlyweds, to create a hauntingly beautiful image that captivates the viewer.